Just take the damn .cdi image and convert it to Nero format or some other format if you need too. There are plenty of conversion programs to do this. Sounds like an interesting yarn...please, do tell us the story of the pixel artist and ULS. sh3 had the idea, I implemented it. That's the short version. As I said I tried many combinations of conversion and burning software. The first route I took was converting to nrg format. I could convert the cdi but I couldn't get the result to burn. I even made some modifications to the coverter code trying to get something usable out. I think I'm going to look at this more though because I have aquired more tools since I moved on from nrg format. Well my test results pretty much all have to be considered null and void. I started experiencing random freezes that lasted for quite a while. Looking through my system logs I found disk i/o errors. I then queried the SMART status with smartctl. It showed a power on error from when I restarted my machine trying to resolve the freezing. I then issued a command to execute a SMART short test. The test failed with a read error. Filtering my logs on the disk i/o error it began yesterday morning. I can't really trust any data written to that drive or produced from data read from that drive. I have set up an RMA and will have a replacement shortly. I don't know that any of my results will change but I will definitely retry a couple of things when I put the replacement drive in... and receive a new spindle of CD's. 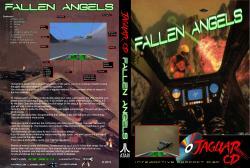 In the meantime I will be playing Fallen Angels with the CD I burned on my Linux machine! I use TimeMachine with a network drive. I deleted the backups since the disk I/O errors started showing in my logs a few days ago to avoid any corruption. I will be able to use TimeMachine recovery to return my Mac to the state it was in at that point. No biggie. Filing an RMA with Seagate was also a pleasantly simple process. No interaction with a human, no questions, one online form. I wish every company made it that easy. I am back here after having be quite busy those last months. Edited by Felyx, Sun May 19, 2013 6:51 AM. Edited by Felyx, Sun May 19, 2013 6:57 AM. 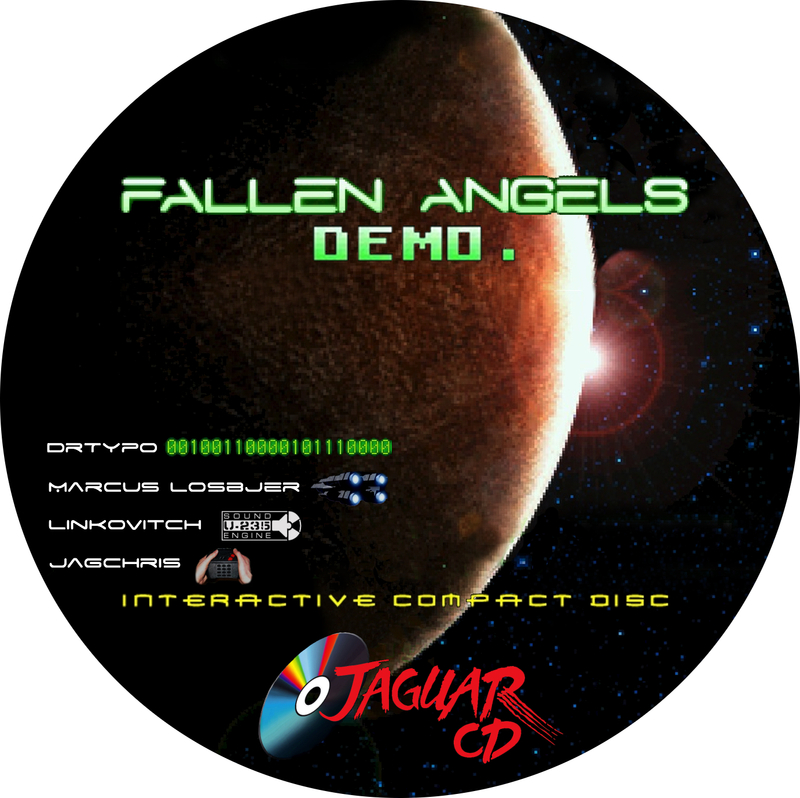 As I have at home an iMac Intel and no PC, I am burning all my Jag CD on Windows installed with Bootcamp by using Jiffi to get the file ready to burn Discjuggler free demo to burn it. 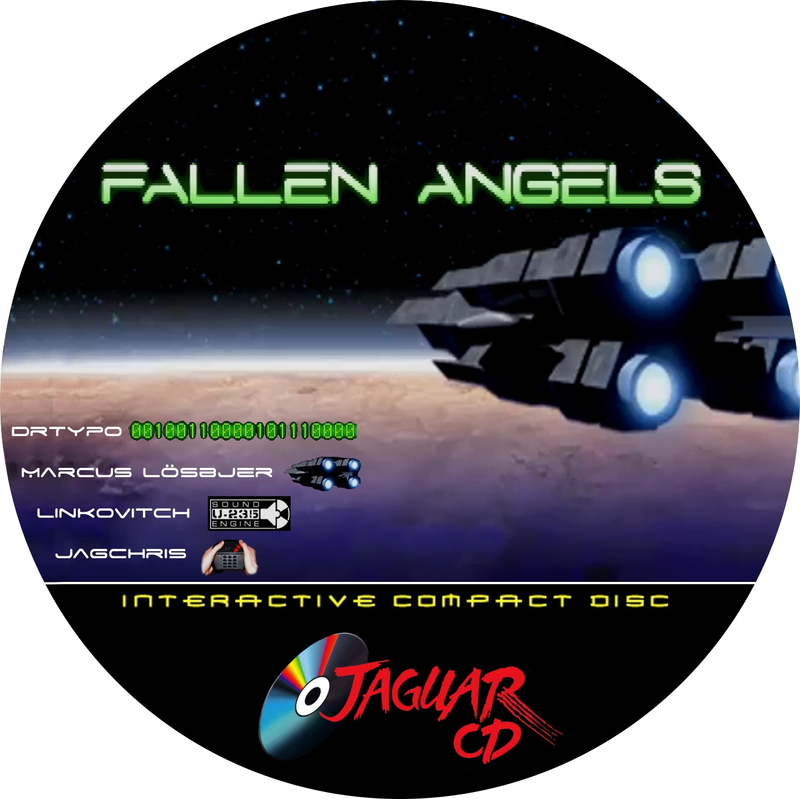 So definitely YES: burning Jag CD with a Mac is possible...but by installing Windows on it. By moving from os X.5 Panther to X.7 Lion I can now use Virtual Jaguar to play homebrew's new releases and some rare ones I can't burn on CD. I am using Windows on my Mac for those 2 tasks only. So far I never found any free soft for Mac able to burn .cdi files for Jag but anyway as long as Jiffi runs only on Win PC, Windows will be required. Edited by Felyx, Sun May 19, 2013 7:03 AM. FYI My name is Losbjer not Lösbjer, great work otherwise! It is fully functional. If I can come up with a solution to burn the image then Windows will not be needed for this task. As it is you could run a lightweight Linux distro inside vbox and still do it completely with free software, with no need to reboot your Mac, and no need for bootcamp. Edited by Hyper_Eye, Sun May 19, 2013 12:30 PM. 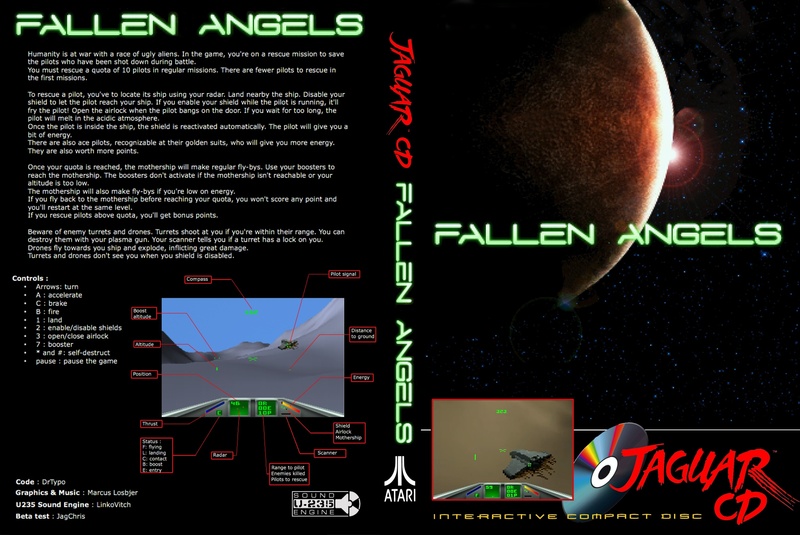 I will correct that and by the way the pdf manual which is where I found the text needs to be corrected as well. Thanks for the link. Although it crashes on my Mac under Lion 10.7.5 that's cool to see a Mac version of the great Reboot Swiss army knife. A french guy wrote on a Dreamcast forum that it is possible to burn those files with the freeware Liquid CD. I will try but as long as Jiffi won't work properly on my Mac I will continue to use the Windows session for it. Edited by Felyx, Sun May 19, 2013 1:52 PM. Can't edit the previous posts anymore. Edited by Felyx, Sun May 19, 2013 3:22 PM. drtypo check your PM box. What font is used for the title? 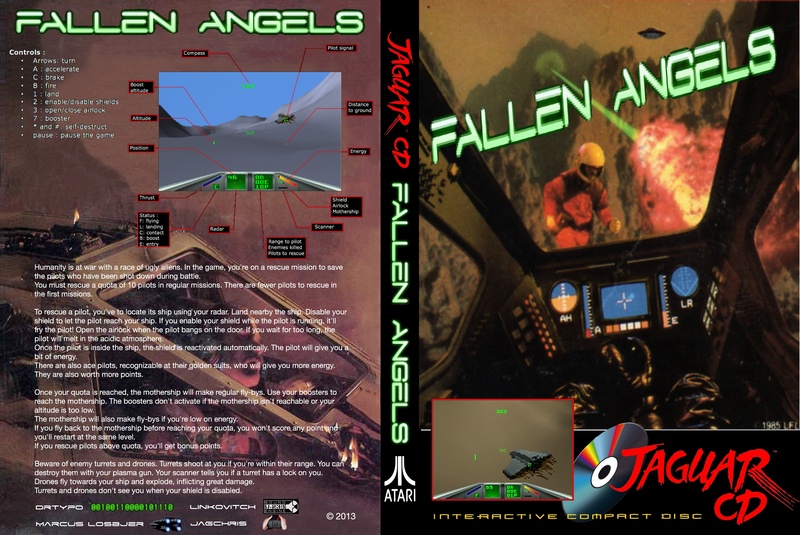 I have been trying a bunch of homebrews on my Skunkboard lately, and finally got around to trying Fallen Angels. I used to play Rescue on Fractulus quite a lot in the 80s. This is very nicely done. 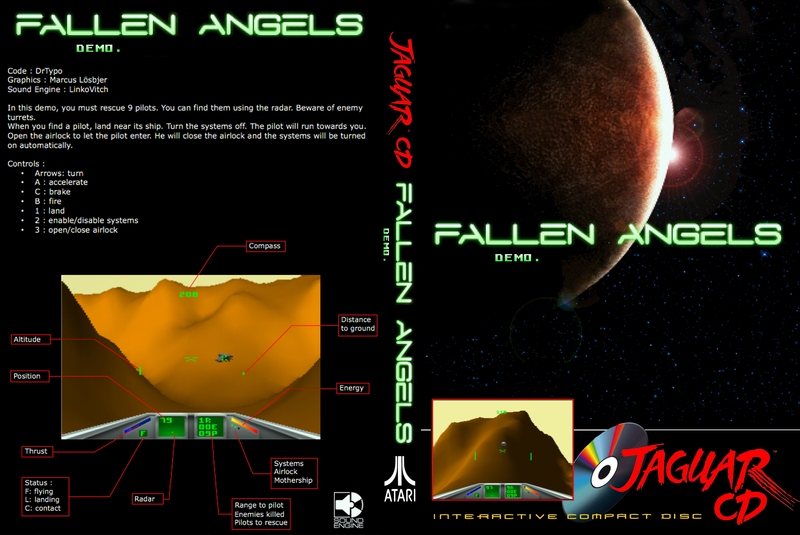 I used Jaffi to convert it from a COF to a ROM, and now it is residing in bank 1, ready to play at a moments notice. If this is ever released on a cart officially I would be very interested! I have had fits trying to burn this thing to a CD. I have downloaded the IMGburn and Jiffi. I have created the cdi file and I go to imgburn to burn it. Every time I try to select the file, I click on it and it goes away and when I try to burn it tells me to select a file again. This repeats over and over. Will never let me burn anything. Problem with Win 8 compatability maybe? Anyone else had that problem? To be honest, it's been quite a long time since I last burned a CD or DVD and I certainly haven't tried burning JiFFI created images with imgburn (no point really since I don't have a JagCD ). Anyway, we have a small featurette in our site that has proven to work up until Windows 7. Possibly there won't be a problem with windows 8 too. Can you give it a try and see what happens? Edited by midnight8, Wed Mar 5, 2014 3:36 PM. This is a surprisingly strong release for a homebrew. It looks and plays very much like an updated version of Rescue On Fractalus., and is a lot more fun than quite a few of the commercial releases. I play it via Skunkboard, but if it is ever a cart release I would definitely consider purchasing it.